Block Paving can be laid in a multitude of patterns, incorporating circles and curves, straight edging, herringbone design or simple straight or offset lines. 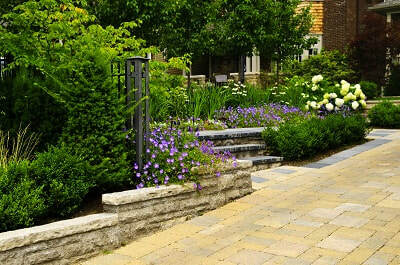 The paving layers at Horsham Decks and Patios will transform your space into something truly unique. Whether you have a small courtyard or an expansive commercial garden, we can lay block paving to your requirements, giving you a low-maintenance good-looking finish that will last for many years. 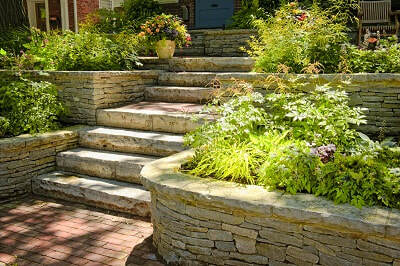 It's key to find a look that blends in with your home and garden and reflects your own tastes. You may like a vintage look with aged concrete blocks or at the other end of the spectrum you could have a contemporary style with subtly textured paving incorporating a striking pattern. 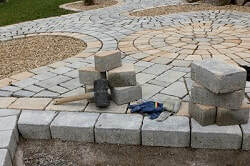 Whatever you choose, we will fulfil your expectations and create a block paved area that complements your home and adds value to your property. Spend a while deciding on the pattern you want for your garden. Herringbone or the brickwork-like pattern known as stretcher bond are the most popular but the world is your oyster! You may wish to incorporate circles, semi-circles or curves or be imaginative with inserts. Use borders to lead the eye and create distinctive edges and blocks can be an effective way to separate different areas.